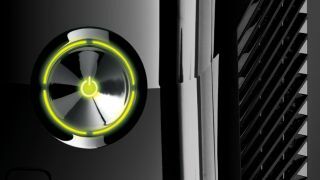 A newly-leaked document, allegedly from within Microsoft, has shown off the company's plans for the long-rumoured Xbox 720 games console. The 56-page presentation, which refers to the device as "Xbox 720," showcases plans for full 1080p 3D support, a built-in Blu-ray player and update for the Kinect peripheral and a new Kinect Glasses project. The report, which is actually from August 2010 mentions improvements that Microsoft has already made to the console, including the television apps, recently-announced SmartGlass functionality and Metro UI. It states a release date of 2013 for the Xbox 720. Among the improvements to the console itself, the document mentions a 6x performance increase thanks to six-to-eight core ARM or x86 processors, each of which will boast 2GHz of power. There are also mentions of a DVR for recording TV content directly from within the console, with a clear idea of it being the only box users will need in their living rooms. It will also feature a separate processing unit to ensure backwards compatibility with Xbox 360 games. So far so good right? How about a very affordable $299 (£190) price-point complete with the Kinect 2 hardware? The Kinect 2 peripheral itself is positioned as as incremental update with improved accuracy, voice recognition and four-player tracking. However, the bigger news is the mention of a Kinect Glasses project - codenamed Project Fortazella. Scheduled for release in 2014, it's a Wi-Fi and 4G enabled pair of specs that may be used with the console and outside the home like Google's Project Glass. You can check out the full, leaked presentation at Scribd.com.